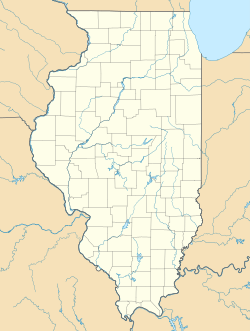 Nottingham Park is an unincorporated community in Stickney Township, Cook County, Illinois. The center of the community is located near Burbank at the intersection of West 63rd Street and IL-43. It takes its name from the nearby green. It is sometimes considered part of Chicago, since it shares its zip code. However, "Nottingham Park" is still an acceptable mailing address. This page was last edited on 14 July 2018, at 14:55 (UTC).